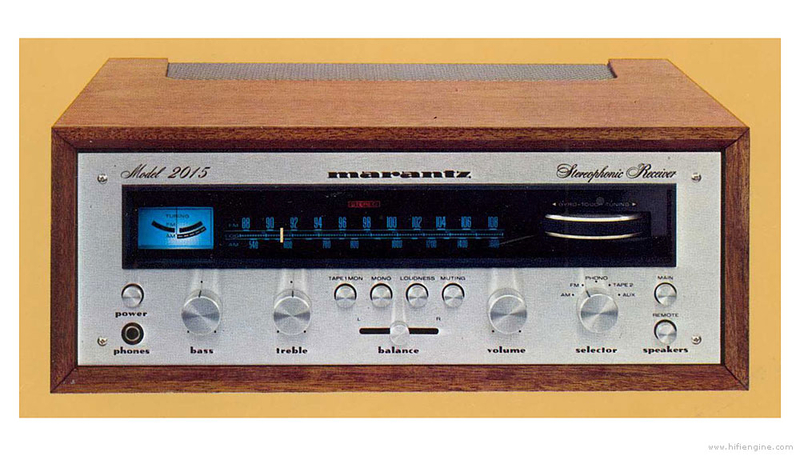 I have never owned a vintage Marantz receiver. But I want to. Got my eyes on the 2230. Any other ones that should be on the radar? The lower wattage ones have a very tube like sound to them and are very desirable for that alone. the 2270 and the 2325 very nice units. Find one and enjoy it. Most of them sound as good as they look! 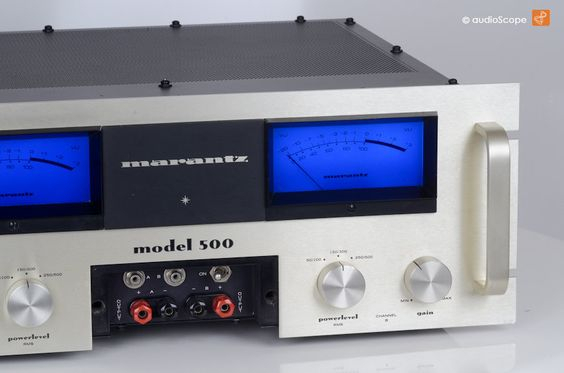 My honest opinion - if SQ is what you are after, then for the prices ANY vintage Marantz units command, you should seriously consider something from Dayens instead - either the Ampino or Menuetto. I'm seeing a restored 2275 for $1500, an untouched 2230 for $500, and a 4240 for $550 all locally. If you can find one for a song, jump on it as it simply doesn't happen anymore. 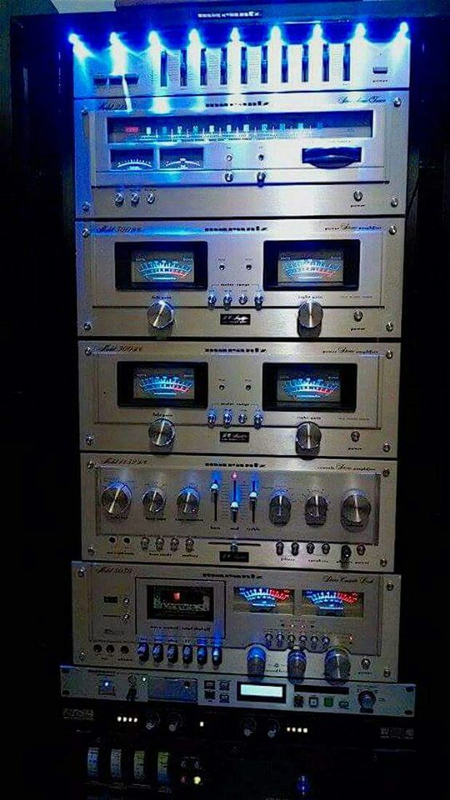 If vintage is what you are after and you want something that plays well with modern speakers, then those Marantz units are your huckleberry. I just can't fathom pursuing one nowadays when you can get a new unit that sounds just as good for the same coin. It won't be as pretty or have the tuner, but it will knock your socks off. 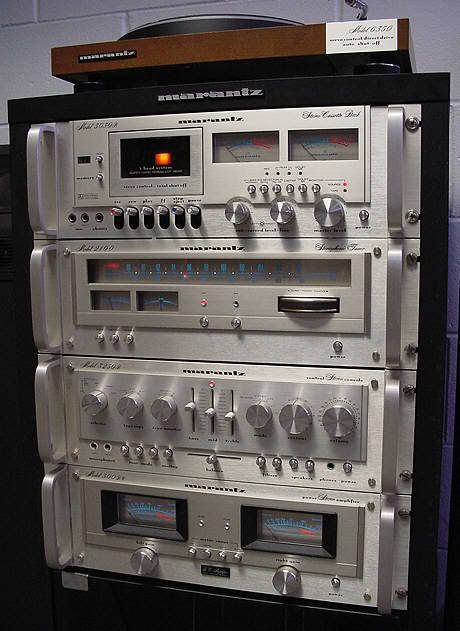 Marantz is the one brand that transcends the 'vintage with vintage' mantra I follow. Another good option is the Mitsubishi stuff. They don't command what they are worth IMO. You can get a preamp + amp for a few bones and get some very solid sound. I'm with skip on this one...unless it's just something you're wanting to try, I'd look for quality newer stuff. I have a few pieces I've had for a while, but, hardly ever use them. They're nice, but, my other, newer stuff, sounds better. For vintage SS gear it is some of the best stuff to own, but, buyer beware. Lots of people taking pieces and spraying Deoxit on the pots of the older stuff and calling it "refurbished." Get a bill of sale from a shop with a parts list if it's been refreshed. Even units that haven't been brought up to date are bringing fairly high prices. That, coupled with the cost of new transistors, caps, resistors, lights, and, the tuning adjusted, will price the piece out of the neighborhood, making it a passion play rather than a smart sound investment. I have a 4270. It's the quad version of the 2270. I run in 2 channel mode. My pride and joy is my completely restored 2325. I do not plan on parting with either one. Both of them are in wood cases. I have a 2385b European model that's going nowhere. 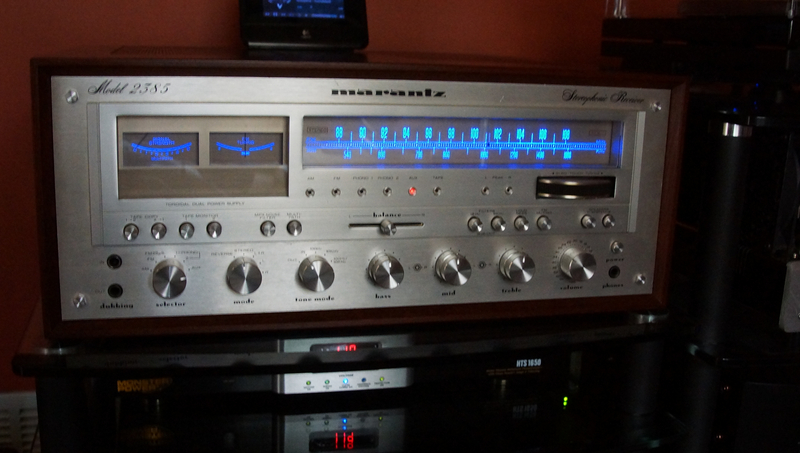 For me the Marantz visuals are top notch backed up with good sound. I wouldn't mind finding a 4270, 2270 or the slightly different looking MR250. Of course the big boys being the 2500 & 2600, but for that coin I could get some higher end more modern items but the are the holy grail for Marantz. Prices are crazy on the used market as others have said and for the money it usually costs to purchase and then having everything updated can add up real fast. Lots of luck, hope you find a bargain like I did. "Demand for 4 channel stuff is dropping". Why, I asked? About 7 hrs to go on this one. Yeah, yours is no kidding around beautiful. The monster powered Marantzes are, at this late date, kind of notorious for packing a little too much heat-producing hardware in too small a space. They're, of course, not alone in that -- many/most of the monsters had issues along those lines (at least after 4 decades), but the 2600s are particularly needy in 2018 unless they've been redone already -- and, as you say, not an inexpensive rehab. I have never turned the heat on in my house in 3 full winters that I have been here Between that and the tubes the big parasound amp and the plasma tv I have plenty of warmth. My honest opinion - if SQ is what you are after, then for the prices ANY vintage Marantz units command, you should seriously consider something from Dayens instead - either the Ampino or Menuetto. Not totally after sound quality, more nostalgia. This will be a vintage system powering various vintage speakers powered by a Marantz. Then go for it brother! I'd recommend a refreshed 2215 or 2216 as they can usually be had for a semi reasonable price. Over the past handful of years Marantz in particular has experienced almost exponential growth in pricing. If you can find a reputable seller who refreshes pieces like this it might not be a bad fit. I would definitely factor in a few hundred for a tech to restore a unit on top of asking if not. The Asian market has had a big impact on the prices. Read an article recently that stated the Chinese will soon have a middle class that is equal to the total U.S. population. I would say one occasionally, but, when sellers see recent selling prices they often don't take in to account that many of those sales are over seas. That market drives the price...at least the asking price...for everyone. As the Chinese, and Asian, middle class emerges their market will drive/dictate many things in our market. The world is getting smaller from a business perspective. We've been the power house for so long that it's probably going to be difficult to accept that our dollar doesn't dictate what happens in the retail world. That is my plan. 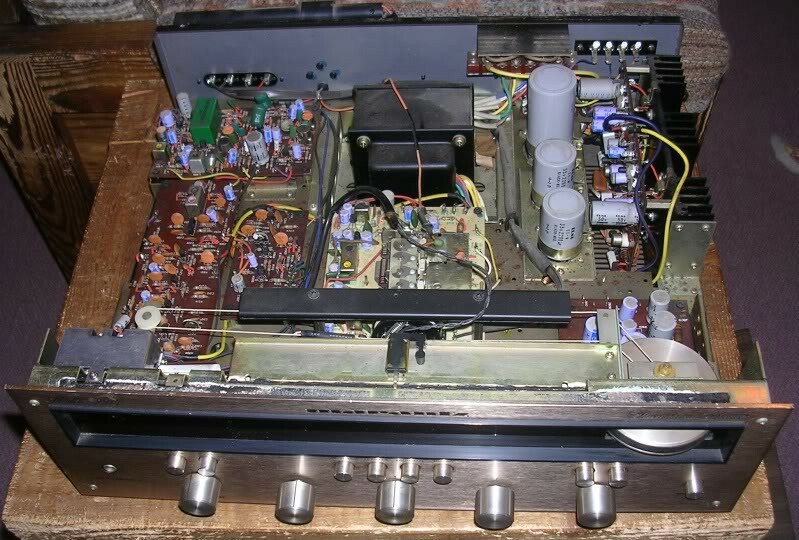 There are a few very experienced folks around the country who do this to these classic Marantz beauties. of the few guys that do them well many have backlogs ... which may make it a good idea to get one that was done already. If you have to ship it and return ship that's another hundie to consider. A cat on the bay sells them already refurbished and he has outstanding feedback. I would post his user name but I am not sure if it is against the rules. 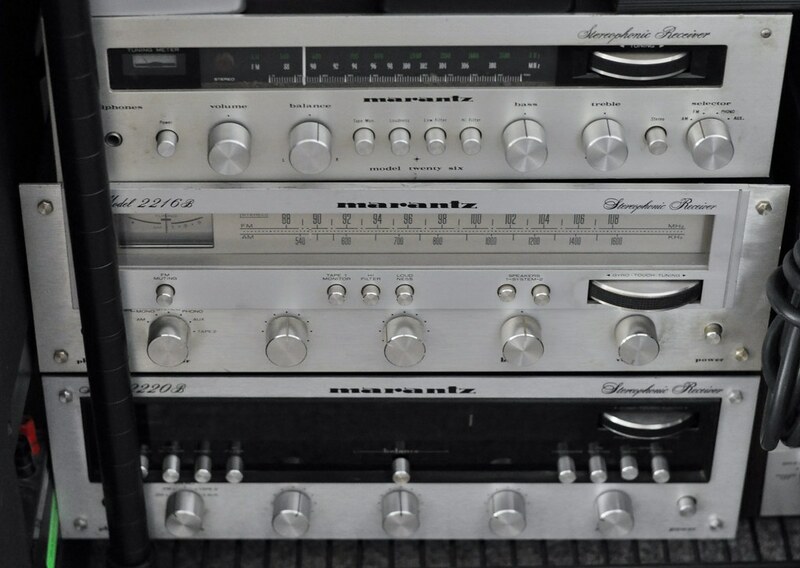 There's a couple lower powered Marantz receivers for sale over on AK right now, you need to be a paying member to see them though. One is a 2226b that needs some work i think. The other is a totally refreshed 2230 with wood case, but like some have said, the price is much higher due to it being serviced already. 2015 is not a receiver one sees every day. It's very pretty, and I reckon it's pretty stoutly built. lower output level in one channel than the other... and I hate troubleshooting (not to mention working on) soiled-state stuff. The Twenty-Six is on top of this photo of my tawdry little stack of low-end Superscope-era Marantz receivers. I had a 2015 at one time an should have never parted with it. Just put a best offer on a 2015. Hope to have a baby Marantz soon! 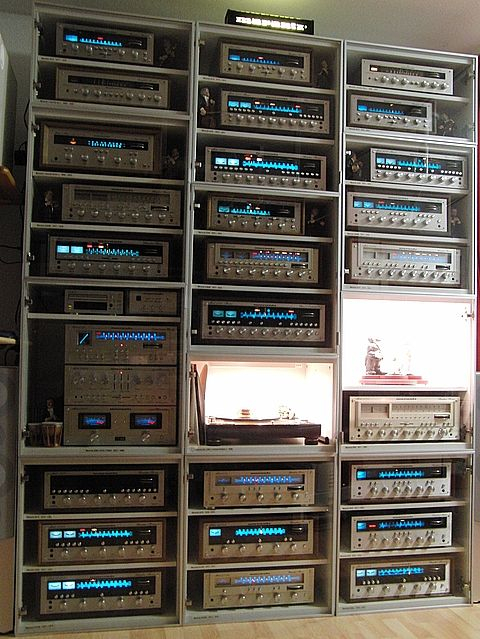 That's how I think I'd feel if I moved the 2216.
did someone say vintage marantz? I've always wanted me a Model 250. Just beautiful.